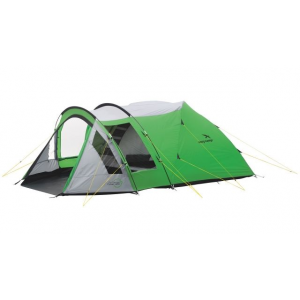 Sierra Designs tents provide an array of shelter options for trekkers and backpackers. Sierra Designs has over 40 years experience and have become a well known brand in the outdoor equipment industry. 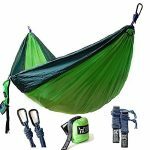 This company has innovative products that have won editors gear awards from the top magazines, which includes the Outdoor magazine, Backpacker magazine and National geographic. 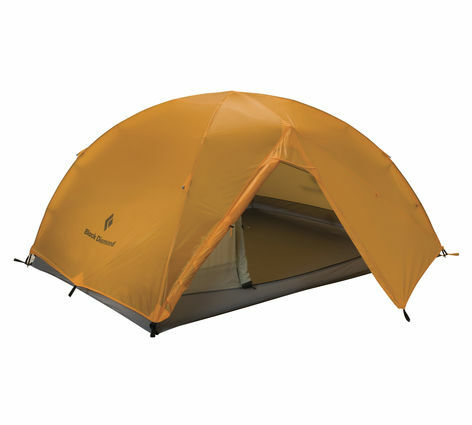 Many of Sierra designs products are used by the experience outdoor enthusiasts, with most of the gear being within the mid-range price including the backpacking and camping tents. 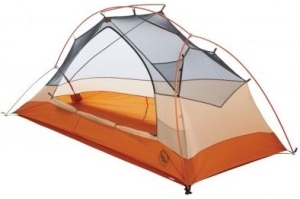 We picked out 3 of the best selling Sierra design tents we liked and rated well among users. 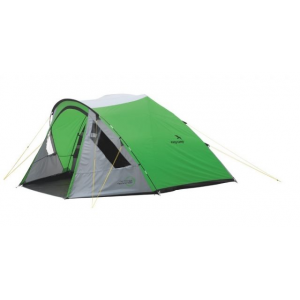 The Sierra Designs Flashlight 2 model, is one of the cheapest Sierra Designs tent for sleeping 2, that still keeps the features that make Sierra tents lightweight, sturdy and well ventilated. 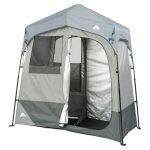 There are about three Sierra design tents for sleeping 2 people that are quality tents, although for the price, this deserves to be included in the review and is one of the most popular. This Sierra Designs has the non rotating elbow connector and Jakes foot pole attachment (rather than grommets) to make setting up easy enough. 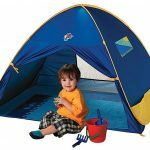 This tent was updated in 2010 to provide better living space, stronger poles, lighter clips and material improvements. It weighs 3 lb 6 oz trail and comes packaged at 3 lb 14 oz, so it pretty light for a 2 person tent that includes a vestibule area of 7 sq. ft for gear and hiking boots. We knew when researching this Sierra tent that it would be hard to find many negatives, and we were right, most buyers put this tent through its paces and have nothing but positive comments to make, although a common complaint is lack of space. Whilst most reviews were promising, some complaints (cons) were very similar. Someone did mention it was difficult to set up, although this should not be the case because everything about this tent makes it easy to pitch. 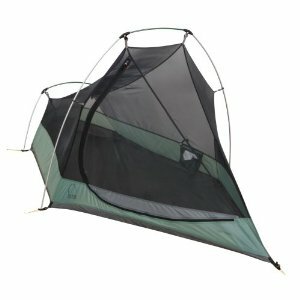 Overall this Sierra design tent is affordable (under $200), has the easy to pitch design and features found in much more expensive tents. The main issue will be size when needing a roomy shelter for 2 people or a freestanding pitch on rocky terrain. 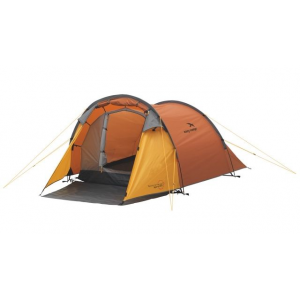 The Sierra designs lightening XT 4 person tent was awarded the backpackers editors choice in 2009, tested in Wales with the type of weather most like to avoid. 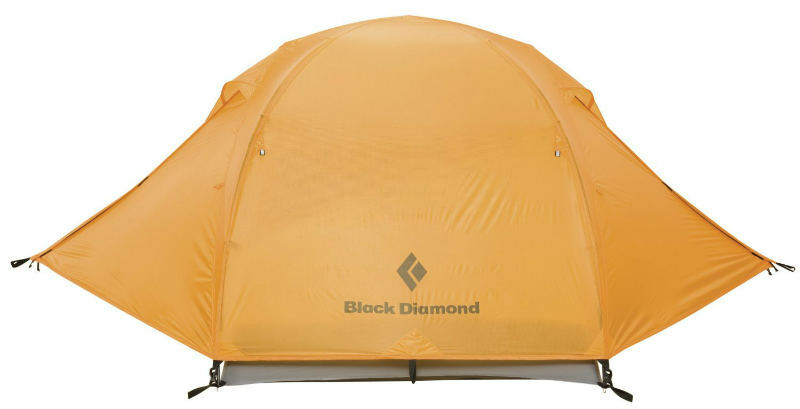 We tend to agree with others that this is one of the only 4 person backpacking tents that will sleep 4 people and is light enough to split the weight for packing at 6 lbs. 13 oz trail weight (average packaged weight 7 lbs. 6 oz). 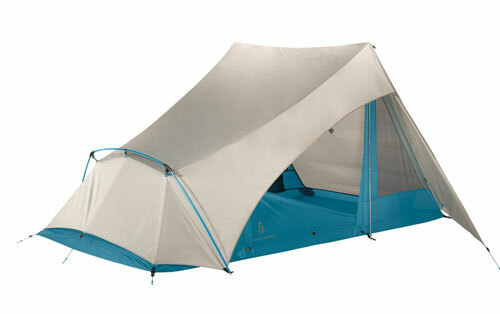 This Sierra designs tent has very similar features to other Sierra design tents, like the DAC Jakes feet, ultralight clips and color-coded main door and fly, Superseal floor that combines the benefits of catenary and bathtub floors and raised PVC-free side seams are taped for complete waterproofness are but a few. 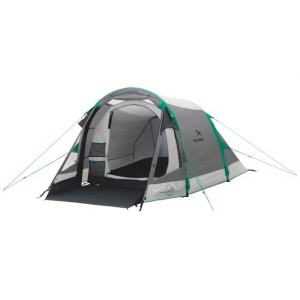 This 4 person Sierra design tent has two doors, one at the front and one at the back for easy access, also the unique swivel hub design increases the verticality of the Lightning XT 4 Sierra Design tents side walls, that improves the liveability of this tent. 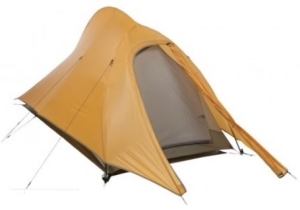 Yes this Sierra designs tent is pricey at over $400, although for a 4 person freestanding, very roomy, lightweight well designed backpacking tent, its a shelter to be envied by most. 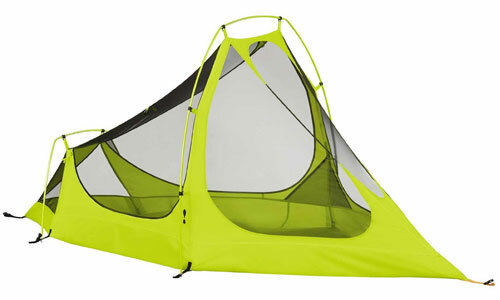 The Sierra Designs Lightyear tent is suitable for 1 person hitting the trails with one thing in mind, somewhere to sleep. Its more than a bivy and less than a comfort seekers base camp tent, with an affordable price tag. 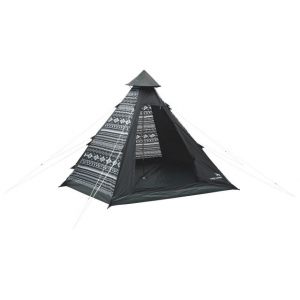 This 3 season Sierra designs tent weighs under the 3 lbs and provides mosquito netting to keep the bugs out at summer time and a vestibule for gear. The DAC featherlite poles increase the strength of the tent in high winds and keeps the weight low for hikers. The non rotating elbow is to strengthen the tent and the H clips at the elbow connectors makes attaching the tent body easy. We found many positive reports for the Sierra designs light year, with most users having nothing but good news. 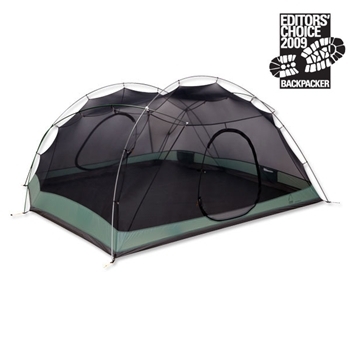 Here are some reports found about the pros and advantages of this Sierra design tent. Perfect size for solo hiking with plenty of room compared to using a bivy and only an extra 1lb in weight. Most tents have there cons, here are some. Overall its a good lightweight tent option for the solo backpacker wanting more than just a bivy. It has received many positive reports including being used in various weather conditions with no complaints about leaks or condensation, and its affordable (around $170). Sierra Designs produce backpacking tents including the above tents that have all the features needed to make a tent easy to set up, lightweight, and well designed. The above tents all receive very positive reports from actual users with very little complaints. We really like and rate the Lightning XT 4 person backpacking tent highly and the affordable Clip flashlight 2 person Sierra Designs tent.